The Palm Beach Post traced the origins of the heroin crisis, driving down the "Oxy Express" highways, which users and dealers used to load up on oxycodone pills. A Palm Beach Post investigation has uncovered Florida's role in igniting the country’s heroin epidemic in 2011. Listen to the full June 29, 2018 episode of The Florida Roundup here. Reporter Pat Beall is feature in the first segment 1:00-20:00. 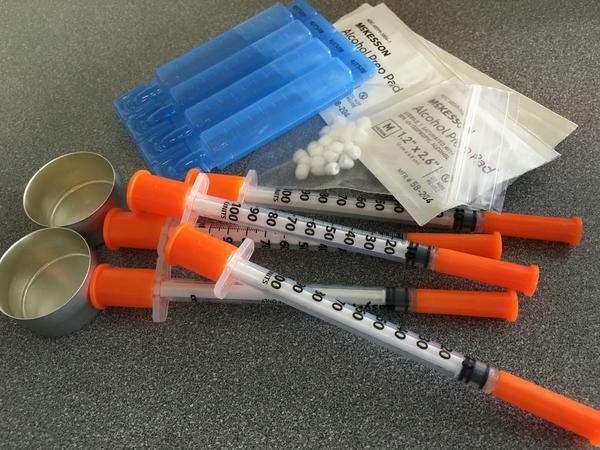 The state’s repeated failure to control its own prescription drug problem would eventually lead to more addicts turning to heroin not only on Florida, but in other states around the country. WLRN’s Christine DiMattei fills in for Tom Hudson as host of The Florida Roundup. She sat down with Pat Beall, investigative reporter at The Palm Beach Post, to explore the so-called “Oxy Express." WLRN: To connect the dots, you and your team traveled to what's become known as the "Oxy Express." What is that and where is it exactly? PAT BEALL: The Oxy Express was the nickname given to a stretch of roadways from South Florida – specifically Palm Beach and Broward Counties – all through the Appalachians. It was an area where people would drive down, van loads of people, load up on drugs here in Palm Beach County through our pill mills and then drive back to the Appalachians and sell or use the same drugs. There were plenty of people along the way who told you flatly that this story is unprovable. Epidemiologists particularly who were among those that said that available data alone could never definitively prove this oxycodone-to-heroin transition. Much less Florida's role in this. What was the first tip you got that launched this whole thing? And what was your reaction to that tip? P.B. : I really wasn't paying attention. I think that pretty much sums it up. It was in early 2012, and I had been doing a story about online drug sales. In speaking to a couple of treatment counselors locally in Palm Beach County, I was told, Listen the crack down on prescription pills and pill mills isn't driving people to online drug sales; it's driving them to heroin. I really couldn't buy that. I couldn't buy it because I think I had at that time something of the same skewed perception that people had about who a heroin user would be. And why would anybody who was using pills jump to a street drug? So it took a little time for me to wrap my head around that. Let's go back to the pill mill crisis. You've traced the beginnings of this problem to the rogue pain management clinics in Florida – back when the pill mills were a thriving business in South Florida. How did they get the prescription meds in the first place? P.B. : Florida failed to regulate pill mills, and it really went back many years. There was a problem in Florida that was pretty obvious starting in 2002-2003 with prescription pills. Florida just did nothing. Other states adopted prescription-monitoring programs. Other states cracked down on their own pill mill activity and rogue doctors. We didn't. So that allowed not only pill mills to thrive and illicit opioids to be transported across state lines, it also provided this incredible window of time that gave addiction time to take root and grow.